With Damon Clear, people may not even realize you’re wearing braces. 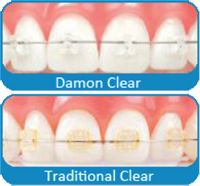 Tie-less Damon Clear braces are discreet and resistant to staining and discoloration throughout treatment. 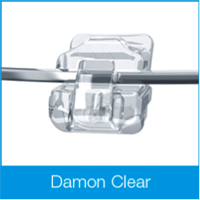 Damon Clear uses tie-less brackets that don’t need to be tightened and are gentle to the teeth and gums. 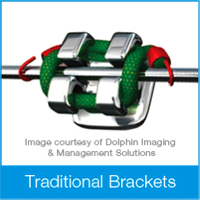 Other styles of braces use elastics that bind archwires in place, which can cause pressure and discomfort.